Greece’s eurozone creditors have approved the reform plan it put forward, which paves the way for the country's €172 billion bailout to be extended until June. "National procedures for extension of the Greek programme can begin," EU Euro Commissioner Valdis Dombrovskis said on Twitter after a conference call Tuesday. Final approval will come from the parliaments of several eurozone countries, the Eurogroup said . 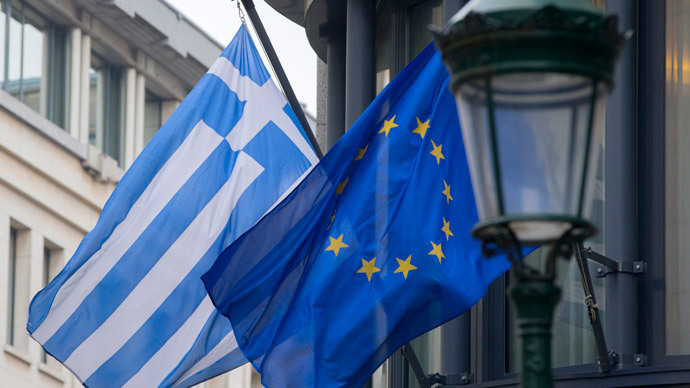 Greece sent a list of economic reform plans to European institutions and the International Monetary Fund around midnight.“This list is sufficiently comprehensive to be a valid starting point for a successful conclusion of the review,”the European Commissionsaidearlier on Tuesday. "We call on the Greek authorities to further develop and broaden the list of reform measures, based on the current arrangement, in close coordination with the institutions," the Eurogroup said in a statement. “It's crucial to stabilize the situation in Greece, allowing us time to work on future cooperation with Greece and bridging this period,'' Dijsselbloem told EU legislators. The Athens Stock Exchange was up 7.2 percent in early trading Tuesday, as investors anticipated a positive outcome.It was its highest level in two and a half months on opening, according to Reuters. At a time of publication it was up 6.19 percent standing at 907.03. Greek bond yields have also rallied. The yield on Greece's three-year bond has fallen 155 basis points to 13.52 per cent, while the yield on the 10-year bond has fallen below 9 per cent to 8.98 per cent. The Greek government “is committed to working in close agreement with European partners and institutions, as well as with the International Monetary Fund, and take actions that strengthen fiscal sustainability, guarantee financial stability and promote economic recovery,” reads a six-page letter sent by Greece’s Finance Minister Yanis Varoufakis on Monday and published in the Greek Ekathimerini newspaper. Among other issues, the plan focuses on fighting corruption and tax evasion. It also suggests compromises in such issues as labor reforms and social spending. Greece has promised not to stop any ongoing social expenditure or completed privatizations and ensures that any state spending to address a"humanitarian crisis"does not hurt its budget. Prime Minister Alexis Tsipras said the Greek government would raise minimum wages over time, despite earlier promises to raise them immediately. The public sector wage system will be reviewed, and there will be not substantial increases, earlier Athens asked for no further pay reductions. The Greece government wants to make savings through the consolidation of pension funds and the end of loopholes and incentives for early retirement. It previously wanted to make sure there would be no further pension cuts.